So you’ve got a great website design. What about functionality? Style is important, but it’s merely an empty promise if the site is impossible to navigate. 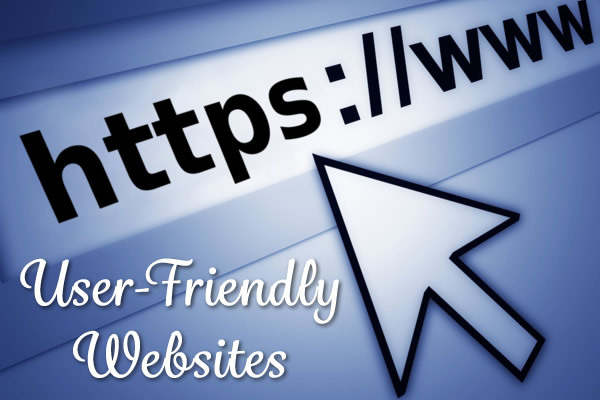 Make your website easy to use and you will have visitors returning again and again. Fail to do so, and it’s suicide. Here are a few key tips to improve website usability. 1. Focus on the user’s needs. Don’t forget to put yourself in a visitor’s shoes and view the site from a different perspective. Ensure that your site is easy to access, and that it is easy for them to interact with you and with others. Do regular tests to make sure it is easy for users to find what they need. 2. Use CSS to provide greater control over your website’s appearance and make it more accessible. CSS sites are becoming increasingly popular because they are far more user-friendly and file sizes are much smaller compared to table-based websites. Take full advantage of this advanced technology that most modern web developers rely on. 3. Design your layout to be clean and consistent. Keep visitors’ focus on your content using a lot of white space and a simple, chic style. 4. Increase the “stickiness” of your website (i.e., how long visitors stay) using clear, simple navigation. Make sure your site is consistent and that it is designed to eventually accommodate additional links. 5. Design layouts that fit any screen resolution, especially if your site contains long pages of content. If your site doesn’t display well because of a visitor’s screen resolution, he will lose interest fast. 6. Make your website cross-browser compatible. It should be usable in all browsers, including Internet Explorer, Firefox, Google Chrome, Safari, Opera and Netscape. Minimize graphics, flash and scripts to decrease file size. Optimize HTML and script code by removing any unwanted tags or unused scripts. Use Server Side Include (SSI) files so as to store includes from the web server in the cache. This will allow a faster load time on subsequent requests. 8. Feature a search bar on your site to provide relevant content to your visitors. If they are looking for something specific, they need only enter in the key words and they are given the content that matches their query. There is also an analytics side to this; there are many ways to track the searches made on your site so as to improve your marketing campaigns based on what visitors are reaching for. 9. Make it easy to scan. Most visitors don’t read web pages, so if you want to capture visitors’ interest, use big titles, bold text, and lists to draw their attention to key points when they are scanning. 10. Test early and often. It is essential that you perform regular tests of usability and user interaction when designing and maintaining your website. Your site will be an evolutionary process, so be willing to test and make changes frequently as needed. Let us know if we can help you improve your website and make it more user-friendly.